Now with even more realistic and beautiful skin, the Petite Jewel Real Taste is a sheer delight to behold and an even better one to have and own. Just like the regular Petite Jewel from Orient Industry, the Real Taste love doll is that rare thing in a woman, literally perfect. The reason? Because you can choose what you want, from her bust size to her hair style, from the fingers to the underhair. The Real Taste also comes in two main sizes, 136cm or 146cm, and with generous proportions of waist, hips and breasts. Made in one complete joint and with an amazing A Cup or D Cup bust, the Real Taste confirms what we always knew: Orient Industry are the world's best artisans of love dolls. Your Real Taste doll will become a total part of your life, at night, in the bath (only submerge up to shoulders), or whenever and wherever you want her companionship. Made out of 100% silicone, the Real Taste doll has a dual frame that makes her very supple and durable. This allows you generous flexibility for changing positions and poses, and lying your doll down for some intimacy. 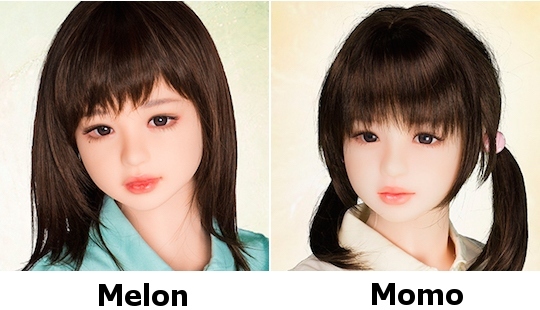 The Real Taste also comes in a choice of several superb faces and heads, so you can choose which cute model you want: Kokoro, Izumi, Ai, Fuka, Karen (regular, smiling or sleeping versions), Mari, Kirara, Momo, or Melon. 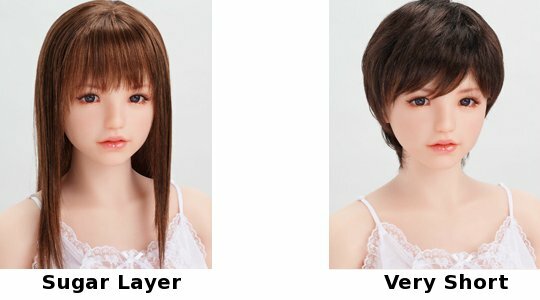 Plus there are four recommended hair pieces/wigs to select, allowing you to customize and mix and match to create the perfect look. 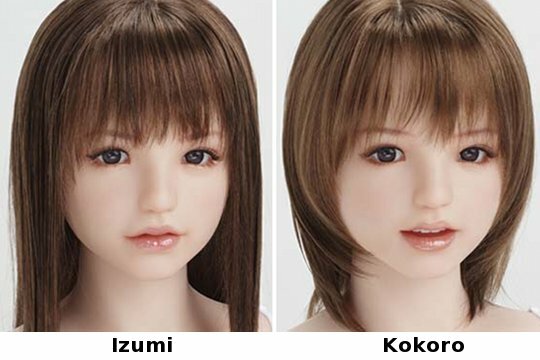 There is a wealth of other options as well, including integrated underhair (in four variations! ), bust sizes (A Cup or D Cup), and even flexible fingers and movable eyes.